Credit: NASA. Download this image (JPG, 89.6 KB). 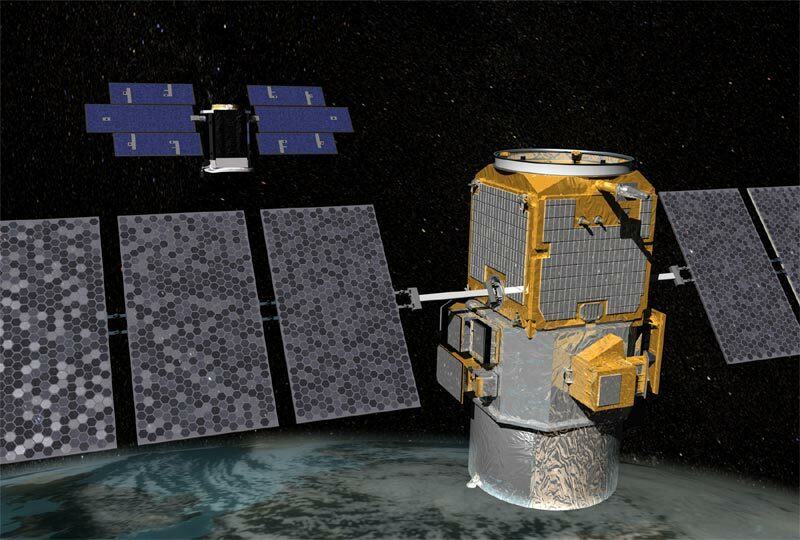 [09-Jan-07] Two active-sensor orbiters - CloudSat and CALIPSO (Cloud-Aerosol Lidar and Infrared Pathfinder Satellite Observations) - that make up part of the "A-Train" constellation. CALIPSO (foreground) and CloudSat (background) are newer active-sensor orbiters that can be used to study the effects of clouds and aerosols on climate and weather.